Is ISNA Rug Sweeping Anti-Semitism? If you happen to be a supporter of the Islamic Society of North America (ISNA), this Labor Day Weekend marks one of the most important events of the year: ISNA's annual convention begins today in Houston, Texas. Boasting an expected attendance of 20,000 people and scores of extremist speakers, the conference is one of the largest Islamist gatherings in the United States. 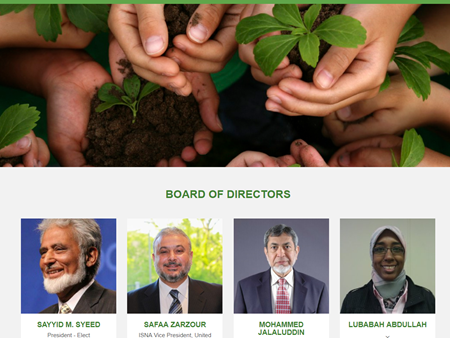 Yet, ISNA also touts its long list of interfaith partners, including several Jewish groups. We were thus disturbed when we found that a high level ISNA official—Mr. 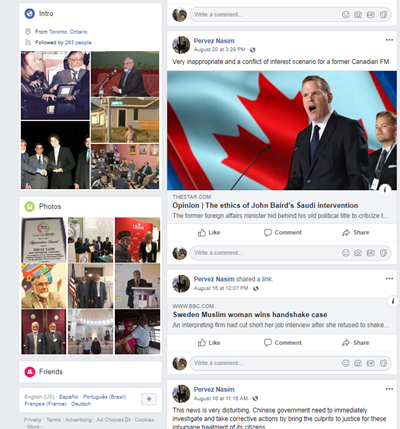 Pervez Nasim—shared radically anti-Semitic content on his social media, including an approving post of a Holocaust-denier's video claiming that the Jewish state is behind ISIS terrorism. When we asked ISNA officials for comment on Nasim's behavior, we received no response. So, on August 28th, we published a blog detailing our findings and condemning ISNA's hypocritical non-response. 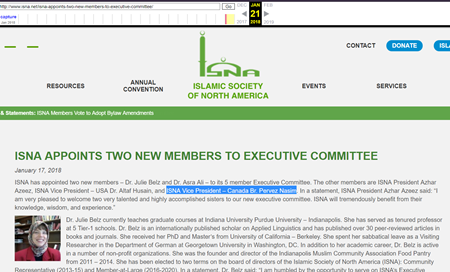 Now, only a few days later, it seems ISNA may be trying to sweep Nasim's conduct under the rug. 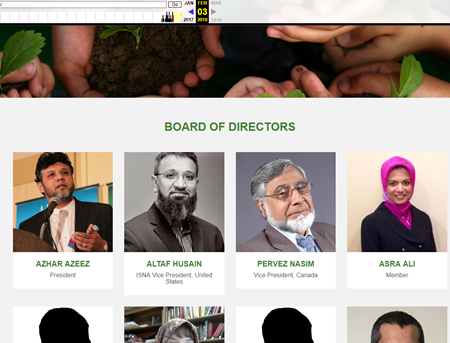 This morning, we found that yesterday, ISNA quietly edited its board of directors webpage (removing Nasim's name and photo) despite the fact that the new board does not take office until September 3rd. Next, we found that Nasim's name was removed from an 8-month-old ISNA press release announcing new additions to the organization. Then, we found that Nasim seems to have removed the original August 19 anti-Semitic post from his Facebook page. 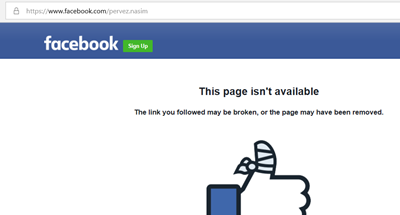 Now, it seems that Nasim has deleted his Facebook page altogether! 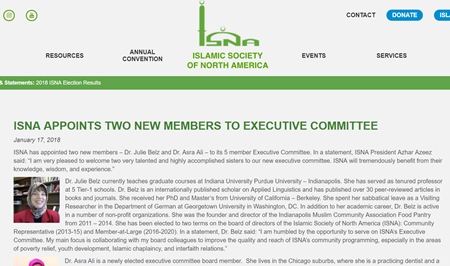 We contacted ISNA again to ask why Nasim's name is being scrubbed from its website, and whether he will still be speaking at ISNA's convention this weekend. We have received no response so far, but will update if ISNA makes a statement.